London’s a great place for a family day out at any time of year. 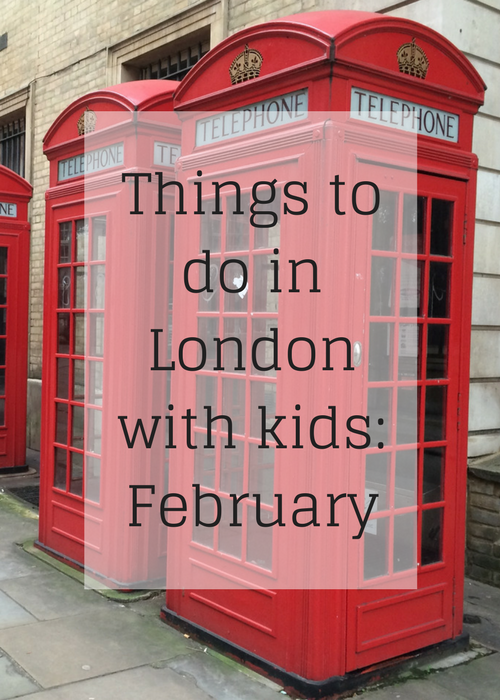 This month, as ever, there are loads of fun things happening in the capital, plus spring’s nearly here, the kids have a week’s half-term holiday, it’s Chinese New Year and it’s Pancake Day. Marvellous. Here’s my pick of the excellent things to do in London in February 2019. The Chinese New Year celebrations in London are the biggest outside of Asia. The Year of the Pig starts on February 5th, 2019, and the London events to mark the occasion take place on Sunday February 10th in Chinatown, Trafalgar Square and across the West End, from 10am until 6pm. 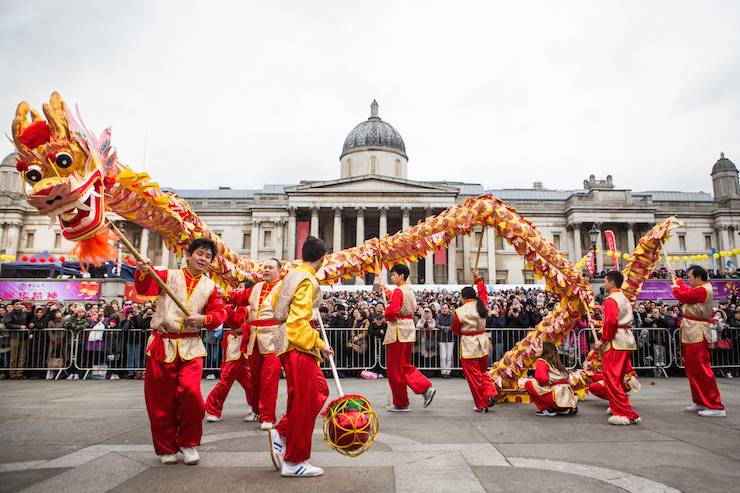 The celebrations begin with a lion dance parade which sets off from Trafalgar Square at 10am. If you’re going along, be sure to wear something red, to bring you luck in the New Year (according to Chinese tradition). Visitors to the excellent Warner Bros Studio Tour (just outside London) can see a special exhibition about the art department this month. The craftmanship and artistry that went into creating every detail of the Harry Potter wizarding world for the films is highlighted in Introducing the Art Department, from February 9th – 25th, 2019. We had a fantastic day at the studios when we visited as a family – you can read about it in my post Warner Bros Studio Tour: the making of Harry Potter. Cost: Children from £43, adults from £35. Tickets need to be booked in advance. Imagine Children’s Festival is the Southbank Centre’s annual children’s arts festival, and this year it runs from 13th – 24th February. The festival features the best in children’s literature, theatre and music and there are plenty of workshops and activities for kids up to the age of 12 years old. Highlights for 2019 include an interactive hip-hop show, a comedy club and appearances by authors Jacqueline Wilson, Malorie Blackman and Chris Riddell. Many of the events are free. Cost: Varies according to activity. Each February the National Maritime Museum celebrates LGBT history month. This year the museum’s hosting a week of free LGBT themed workshops for families during Rainbow Week, from 16th – 24th February. London Zoo is run by the Zoological Society of London (ZSL) charity, which works for the worldwide conservation of animals and their habitats. The zoo is home to more than 16,000 animals, from lions, penguins and giraffes to seahorses, butterflies and komodo dragons. You can read about our family trip to London Zoo here. 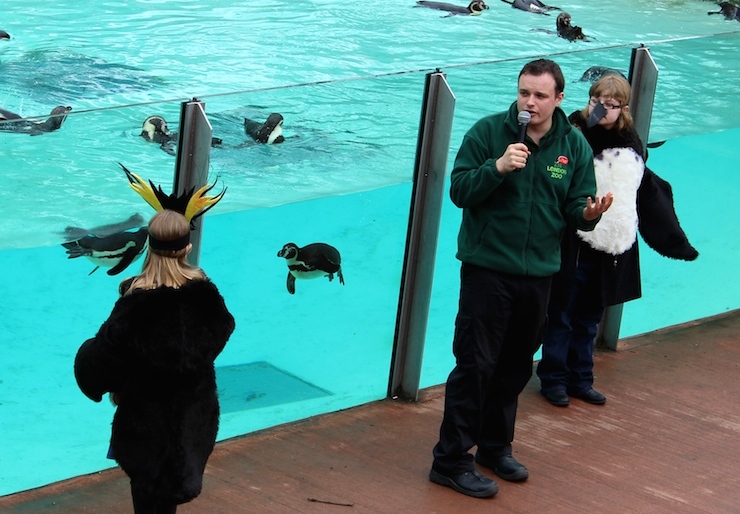 From 16th -24th February 2019 visitors to the zoo can step into the shoes of the vets, nurses and zookeepers who treat the patients of the zoo’s animal hospital at Vets in Action role-play events. It’s free to take part in this activity once you’ve paid to enter the zoo. Cost: Adults from £20.45, children from £15.95, if booked online in advance. Under-threes free. Brick Wonders is at the Horniman Museum and Gardens from 16th February – 27th October 2019. The exhibition showcases some amazing wonders from around the world, all made entirely from LEGO® bricks. There are more than 50 models on display, and visitors can work on their own designs in the interactive play areas. 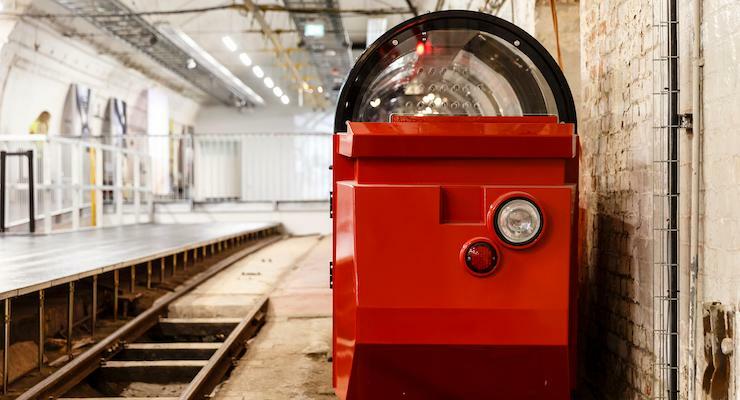 The interactive galleries at the Postal Museum cover 500 years of postal history. A highlight is the miniature train which carries you through the narrow tunnels of the historical Post Office underground railway. 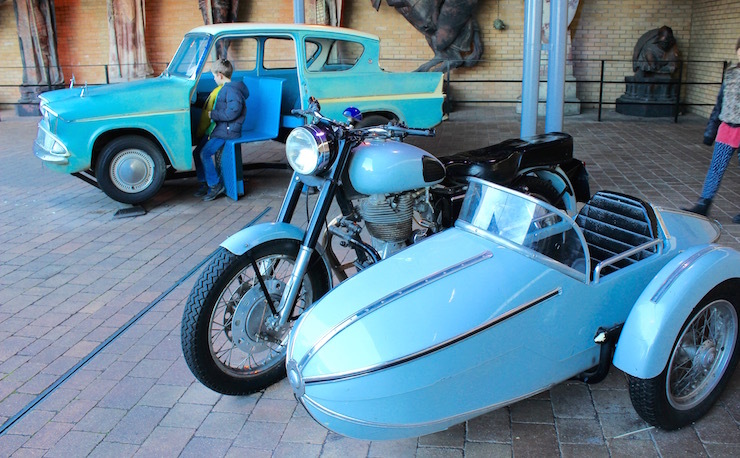 From 18th to 24th February 2019 there’s a busy programme of family events and activities at the museum, around the theme of novel ideas and innovative engineering feats. Cost: Adult from £17.05, child from £10.45. 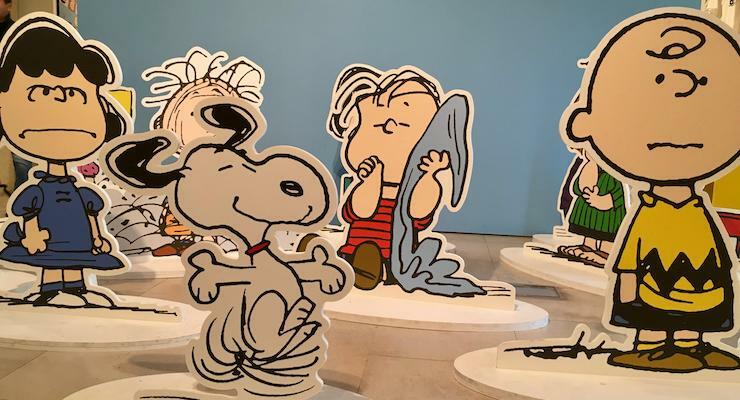 Somerset House: Good Grief, Charlie Brown! You can see Snoopy, Charlie Brown and friends at the excellent Good Grief, Charlie Brown! exhibition at Somerset House until March 3rd, 2019. I enjoyed the Peanuts comic strips by Charles M. Schultz as a child, but before visiting the exhibition I had no idea of their ongoing cultural significance, or that there was an actual Snoopy for President campaign in the USA in the 1968 and 1972 elections (now there’s a campaign which is ripe for revival), or that NASA has a Silver Snoopy award for space safety. Fascinating stuff. Do you have any tips to share for great things to see or do in London this month or any other month? Do share so that I can include your recommendations. About the Chinese New Year, it is a big event in London or just a local festival that usually isn’t “full of tourists”? It’s a big event for the local community and is also popular with visitors. The Science Museum exhibition sounds terrific. I’m still waiting to hear if we’ll be away over half term, but if not, that’s definitely going into the diary. It does sound excellent – let me know what you think about it, if you go. Thanks for the tip on wearing something red for Chinese New Year, can’t wait to take my boys there, although slightly apprehensive about the crowds! I think it’s all quite spread out, so hopefully you can avoid parts which are too crowded. I will visit your website. So nice. Thanks Siobahn – have fun!